Lateral File Bars-Rails-Herman Miller, Steelcase, Haworth and other leading mfrs. Lateral file rails/file bars are made from galvanized steel to OEM specifications. Lateral File Bars provide filing from side to side in lateral file cabinets that are 30",36" or 42" wide. Made in the USA. Herman Miller, Steelcase, Haworth and other leading mfrs in stock ready for immediate delivery. Fits Allsteel File Cabinets that are 30", 36" and 42" exterior width manufactured before 10/28/2001. Quantity discounts available. Anderson Hickey/ Premier File Lateral File Bars Provides side to side filing in Anderson Hickey/ Premier File Cabinets. "Old Style" 1-1/4" High Double Hook. Specify cabinet size: 30, 36" or 42" exterior width. Quantity discounts available. Anderson Hickey Lateral File Bars Provides side to side filing in Anderson Hickey File Cabinets. "New Style Lateral File Bar. 2-5/16 High Double Hook. Specify cabinet size: 30, 36" or 42" exterior width. Quantity discounts available. Artopex Lateral File Bars provides side to side filing in Artopex file cabinets. Quality constructed to O.E.M. specifications. Galvanized finish. Specify cabinet size: 30, 36" or 42" exterior width. Cole Lateral File Bars provides side to side filing in Cole file cabinets. Quality constructed to O.E.M. specifications. Galvanized finish. Specify cabinet size: 30, 36" or 42" exterior width. Corry Hiebart Lateral File Bars provides side to side filing. Fits Corry Hiebart File Cabinets that are 30", 36" and 42" wide. Croydon Lateral File Bars provides side to side filing. Fits Croydon File Cabinets that are 30", 36" and 42" wide. 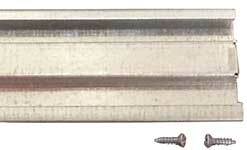 Filex Lateral File Bar provides side to side filing. Fits all Filex file cabinets. Galvanized finish. Specify cabinet size: 30", 36" or 42" exterior width. Quality constructed to OEM specifications. GF Lateral File Bars provides side to side filing. Fits GF,Quantum File Cabinets that are 30", 36" and 42" wide. Global Lateral File Bars provides side to side filing. Provides side to side filing in Great Openings file cabinets. Quality constructed to O.E.M. specifications. Galvanized finish. Specify cabinet size: 30, 36" or 42" exterior width. Fits Harper File Cabinets that are 30", 36" and 42" exterior width. Fits Haskell File Cabinets that are 30", 36" and 42" wide. Haworth Lateral File Bars provides side to side filing. Fits Drawers and Roll out Shelves of 950 Series Haworth. Galvanized finish. Specify cabinet size: 30, 36" or 42" exterior width. Quantity discounts available. Herman Miller Meridian Lateral File Bars provides side to side filing. Fits new "turn-key lock style" cabinets only. Make sure to determine the "A" dimension of your cabinet as shown below before ordering. See Diagram Check the slot size (punch out) in the cabinet drawer wall. It should measure 1/16" wide by 2" high. Quantity Discounts available. Herman Miller B Style Lateral File Bars provides side to side filing. Fits Herman Miller B Style File Cabinets that are 30", 36" and 42" wide. HON® "Old Style"Lateral File Bars provides side to side filing. Old Style hangrails were used on all HON lateral files produced before April of 1994. The ends of the rails look like an "L" shape and the slots in the sides of the drawers that accept the rails are a thin rectangular shape. Quantity Discounts available. HON® "New Style" Lateral File Bars provides side to side filing. New Style hangrails were used on all HON lateral files produced after April of 1994. The ends of the rails are more solid and have a small notch cut out to fit into the drawer slots. The slots on the side of the drawer that accept these rails are "b" and "d" shaped depending how you are viewing. Inscape Lateral File Bar provides side to side filing. Fits Inscape File Cabinets that are 30", 36" and 42" exterior width. InterRoyal Lateral File Bars provides side to side filing. Fits InterRoyal File Cabinets that are 30", 36" and 42" exterior width. Knoll Lateral File Bars provides side to side filing. Fits Knoll File Cabinets that are 30", 36" and 42" exterior width. No minimum purchase. Quantity discounts available. Knoll Reff Lateral File Bar provides side to side filing. Fits Knoll Reff File Cabinets that are 30" exterior width. No minimum purchase. Quantity discounts available. Fits Knoll Reff File Cabinets that are 36" exterior width. Quantity discounts available. Montisa/Brown Morse® cabinets. "Old Style" Lateral File Bar fits cabinets manufactured before June 05. Specify cabinet size: 30", 36" or 42" exterior width. Montisa/Brown Morse® cabinets. "New Style" Lateral File Bar fits cabinets manufactured after June 05. Specify cabinet size: 30", 36" or 42" exterior width. Quality constructed to OEM specifications. No minimum purchase. 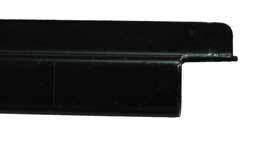 Office Specialty Lateral File Bars provides side to side filing. Fits Office Specialty file cabinets that are 30", 36" and 42" exterior width. Quality constructed to O.E.M. specifications. Paoli Lateral File Bars provides side to side filing. Fits Paoli Prominence wood file cabinets. Galvanized finish. Specify cabinet size: 30", 36" or 42" exterior width. Quality constructed to OEM specifications. No minimum purchase. Fits Shaw Walker lateral file cabinets. Galvanized finish. Specify cabinet size: 30", 36" or 42" exterior width. Steelcase "Old Style" Lateral File Bar provides side to side filing in lateral files manufactured before 1997. Fits Steelcase 9000, 900 & 800 series. Specify cabin et size: 30", 36" or 42" exterior width. Steelcase "New Style" Lateral File Bar provides side to side filing in lateral files manufactured after 1997. 100-200 series and 800-900 series. Specify cabinet size: 30", 36" or 42" exterior width. Storwal Lateral File Bar provides side to side filing in lateral files Storwal file cabinets that are 30", 36" or 42" exterior width. Storwal Steel Equipment Lateral File Bar provides side to side filing in lateral file cabinets that are 30", 36" or 42" exterior width. in Supreme File Cabinets that are 30", 36" and 42" wide. Teknion Lateral File Bar provides side to side filing in Teknion lateral file cabinets that are 30", 36" or 42" exterior width. Trendway Lateral File Bar provides side to side filing. Fits all Trendway file cabinets including Choices. Galvanized finish. Specify cabinet size: 30", 36" or 42" exterior width. *Prices shown are net and are subject to change without notice. Prices are listed for each item FOB our factory. Our manufacturing plants and distribution centers are located in the heartland of America, allowing us to help reduce shipping costs to either West or East Coast.